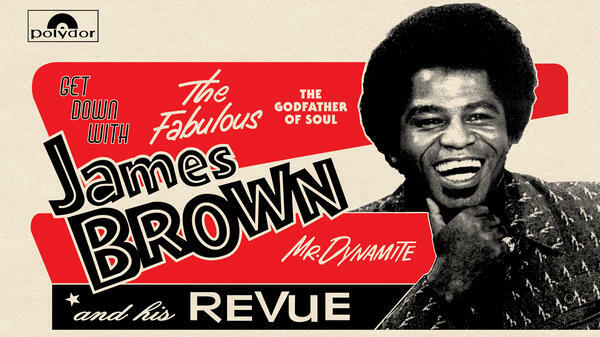 James Brown and the Apollo Theater are forever linked. Beginning in 1963, Brown released three albums there. But there was a fourth made in 1972 that's been buried ever since. Now the recording is out on vinyl, with a CD to follow this summer. It's called "Get Down With James Brown: Live At The Apollo Vol. 4." Reviewer Oliver Wang says it's a marvelous time capsule. OLIVER WANG, BYLINE: On September 13 and 14 of 1972, James Brown's announcer, Danny Ray, took to the Apollo stage. DANNY RAY: Good evening, ladies and gentlemen. Welcome to the Apollo. Manuel Enterprises proudly present "The James Brown Show." WANG: The shows and recordings went smoothly. But mysteriously, the master tape sat on a shelf for the next four decades. No album never materialized. To this day, it's not clear who made the decision to ice "Live At The Apollo Vol. 4," Brown himself or his then label, Polydor. But the performance is a window into a time when Brown was everywhere - on the radio, on television, in the public imagination. JAMES BROWN: (Singing) There it is. Soul, need a taste. Mine is right, yeah. WANG: In all fairness, this "Vol. 4" was never going to be as groundbreaking as the first 1963 Apollo recording, and "Revolution Of The Mind," volume three in this series, had just come out the year before. But this lost concert was different from its predecessors because for once, Brown seemed content to hang in the background and turn the show over to the other artists in his stable - especially his band, the J.B.'s. BROWN: Play us some jazz. WANG: Also featured was Brown's right-hand man, Bobby Byrd. BOBBY BYRD: (Singing) Yeah, I know you got soul. Hey, let me tell what it is, yeah. WANG: And Lyn Collins, a.k.a. the female preacher. LYN COLLINS: Hey, now listen, fellas. Sing it with me, girl. (Singing) It takes two to make a thing go right - sing it, girl - it takes two to make it out of sight. It don't take but two. Hey, yeah, all right. WANG: Brown himself sings lead on just one song. But what's more interesting are his interactions with the crowd, including a remarkable five-minute riff in which he gives praise to the Jackson 5 and Isaac Hayes while also offering his own analysis of black images in Hollywood. BROWN: We've got to come up with some complaints against the black movies for only showing the scum. They're not upgrading. They're degrading. Now there's got to be good things happening in the black community, but they make you feel that every black woman is a prostitute and every black man is a dope pusher. And that's got to be a lie, see? WANG: It's perhaps a little greedy to want to hear more of Brown the singer on here. After all, he recorded or produced at least four other albums in 1972 alone. But there's still something moving about hearing him now, 10 years after his death and more than 40 years after this taping, speaking to us as if we were in one of those Apollo seats, listening to soul brother number one ask us for permission to get funky. BROWN: Can we get funky? WANG: You know there could only be one reply. BROWN: Can we get funky now? Can we get funky? Hit it. CORNISH: Oliver Wang is an associate professor of sociology at Cal State, Long Beach and author of the book "Legions Of Boom." (SOUNDBITE OF JAMES BROWN SONG, "HONKY TONK") Transcript provided by NPR, Copyright NPR.